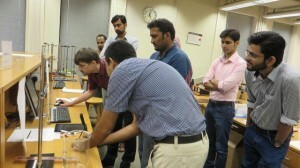 The project fosters a new episode in sharing cutting-edge tools and techniques in modern, research-inspired science education and also promotes the development and transfer of indigenous instructional systems developed at the Physics Lab of the Syed Babar Ali School of Science and Engineering. 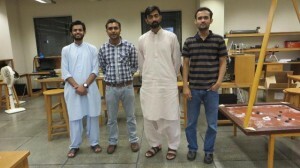 Under this contract, the Physlab team comprising Dr. Sabieh Anwar, Dr. Imran Younus, Hafiz Rizwan, Junaid Alam, Amrozia Shaheen, Khadim Hussain and Azeem Iqbal will be involved in replicating experiments already in place at the Physlab. 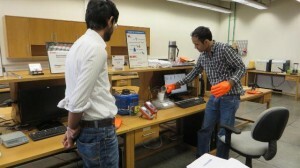 The project will culminate in a concentrated teacher training program. 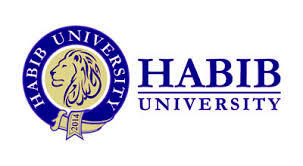 Physics lab has recently completed the collaborative project of technology transfer with Habib University. 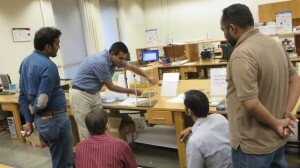 Under the agreement, thirteen experiments were designed and the home-made equipment along with the learning methodologies has been transferred to the recipient institution on August 8, 2014. The project was completed in a short duration of two months. 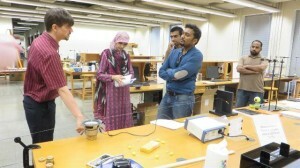 The physics lab team has also provided the essential training to the teachers of Habib University.